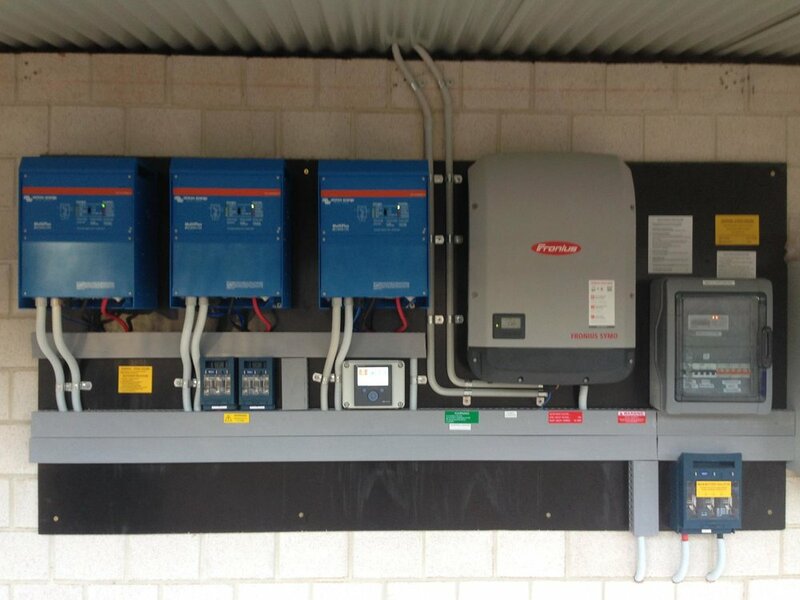 Victron 12.96 kW Solar / 66 kWh Battery Bank, coupled with a Fronius 15kW 3 phase Inverter. Thanks again Kieran & also a big thanks to Hanan. You guys have been awesome & it's been a pleasure to have you here. I appreciate all your efforts. Thanks guys, job well done. See you on the next one. Impressed with the speed and quality of instalment, functionality and customer service of Off Grid Solar Kits. Our 3kW Solar, 5kVA Inverter and 22 kWh system suits our needs perfectly. Providing enough power for a weekend cabin, bedsit and shed – all fitted with frugal power devices (LED lights, energy efficient refrigerator/microwave/water pump/TV/ceiling fan) and gas hot water – leaving ample power to charge batteries for tools, mobile phones, etc. Aside from the microwave, cooking is done with gas (BBQ), while heating is either a wood fire or a small electric heater. The system requires very little management, and adequately fulfils our needs. We live on Acreage with no mains power readily available. After much searching for a solar company that we were happy with, we chose Off Grid Solar Kits. 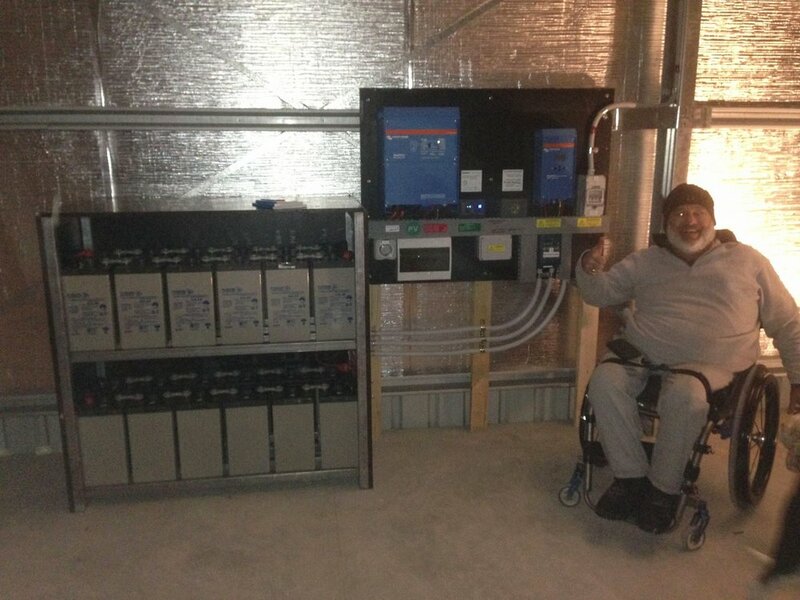 The system we had installed was a 3.5Kw with midnight controller and Outback inverter. The system was installed during the construction of our new house. Hanan and Kieran fitted in with the building schedule installing the system as soon as the roof was on and all wiring was able to be concealed within the walls. There was a problem with the inverter just after installation, however this was rectified within a couple of days. We have now been living in the house for 8 months and have not had to use a generator once to supplement the power. The only time we see power dip below 100% is early in the morning when several appliances are running. The guys were so easy to get on with, accommodating and professional that we would have no hesitation in recommending them to anyone requiring a solar system. We have passed on business cards to a number of people already. We are both well and now living on the farm. The Solar system you installed is great! We use gas hot water and gas for cooking. The system runs very well and we have had no problems. We run every appliance on the system. Geoff also runs his welder and all electric tools with no problems during the daylight hours. We also have 2 split system air cons of which one we have been running during the night but quickly restores the battery in the daylight. We are very pleased with the service Kieran and Hanan have supplied. We have only run the generator once this year due to low battery storage but only for 30 mins. The price was the best we were quoted from any solar supplier. 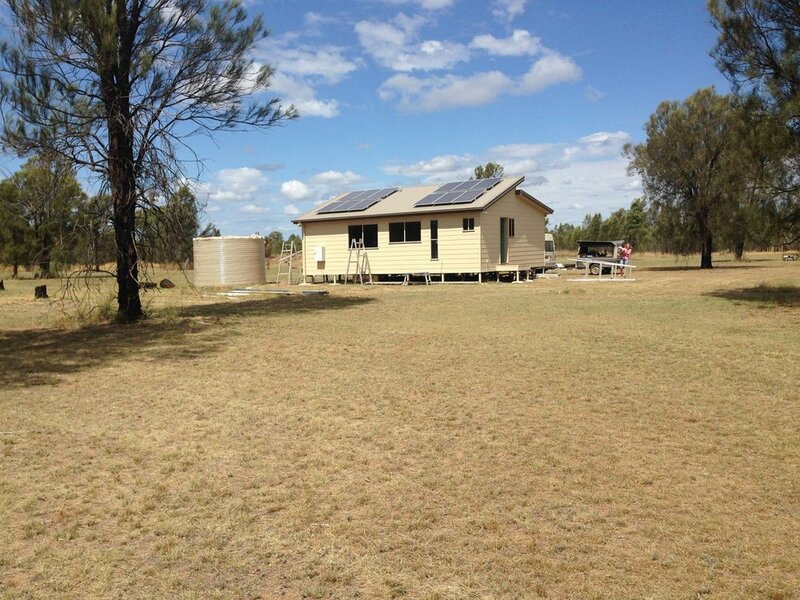 Our house is standalone off-grid with solar hot water and gas booster. 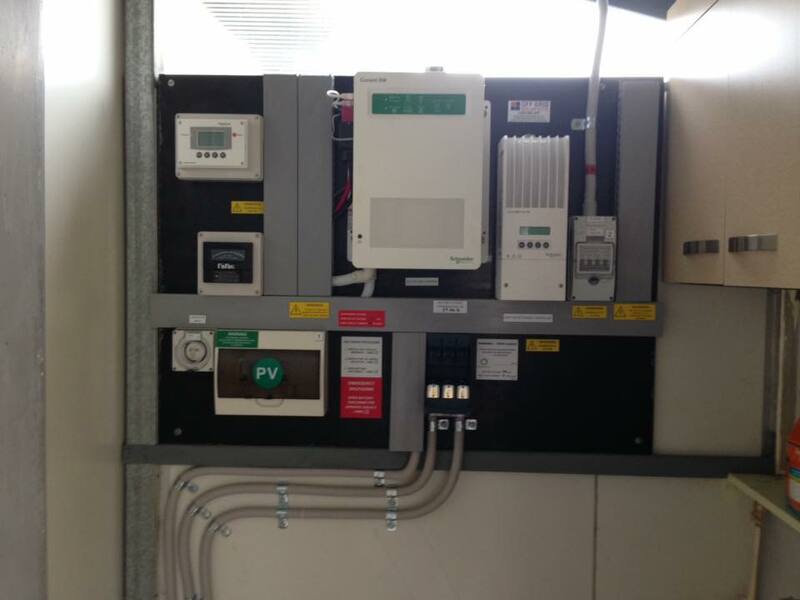 The system that ‘Off Grid Solar Kits’ supplied and installed is a 4.68 kW battery back-up. We run oven, washing machine, clothes dryer, dish washer, lights and power like a normal house hold just discerningly and wisely according to day light and usage. We are very comfortable. There are three in the household. We often also work from home. We chose this life style to consider our environment and at the same time do not really go without. We have an 7kw back-up generator that runs depending on the sunlight and usage of the larger items. Eg: if we need to run the oven and clothes dryer together and the battery is low we will put on the generator. The generator is wired to charge the batteries at the same time…bonus! Brilliant service both supply, install and follow up where needed. The inverter failed for no for certain reason after 1 year; it was replaced immediately, thanks for your service.